Have no time to bake? No microwave oven to use? Well, this dessert is especially made for you! First, you have to prepare all the ingredients. Don’t worry because all the needed ingredients can be easily bought in the supermarket. Next is, prepare all the materials like the pan, etc. so you won’t have to hurry yourself on getting those when you’re in the middle of your cooking. Then, follow all the given instruction below. 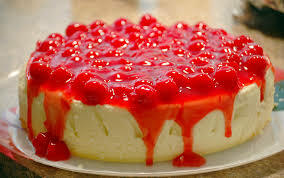 Be reminded to follow thecorrect time period of you don’t want your cheese cake to be a not-so-good- one. As you scan the ingredients, have you ever asked yourself why lemon juice and vanilla were included in making the cake filling? The explanation to that is because these two, preserved the quality of your no bake cheesecake. Also, it prevents the cake from discoloring. Hope, it’s been a good trivia. So, with all of these, I shall say you’re now ready to make your own no bakecheesecake. Have a nice try! 2 bars cream cheese, room temperature. Press the crumb mixture into a springform pan, spreading it 1 1/2 to 2inches up the side; press flat. Chill crust in freezer at least 10 minutes. .Meanwhile, make the filling: Using an electric mixer set at medium-high speed, beat the creamcheese in a large bowl until smooth. Beat in the condensed milk a little at a time. Then add in the lemon juice and vanilla. Pour the filling into the crust; smooth the top with a rubber spatula. Cover with plastic wrap, and refrigerate until firm, 2 1/2 to 3hours. Top with blueberries and serve.